Handwashing is easy to do and it’s one of the most effective ways to prevent the spread of many types of infection and illness in all settings – from your home and workplace to childcare facilities and hospitals. 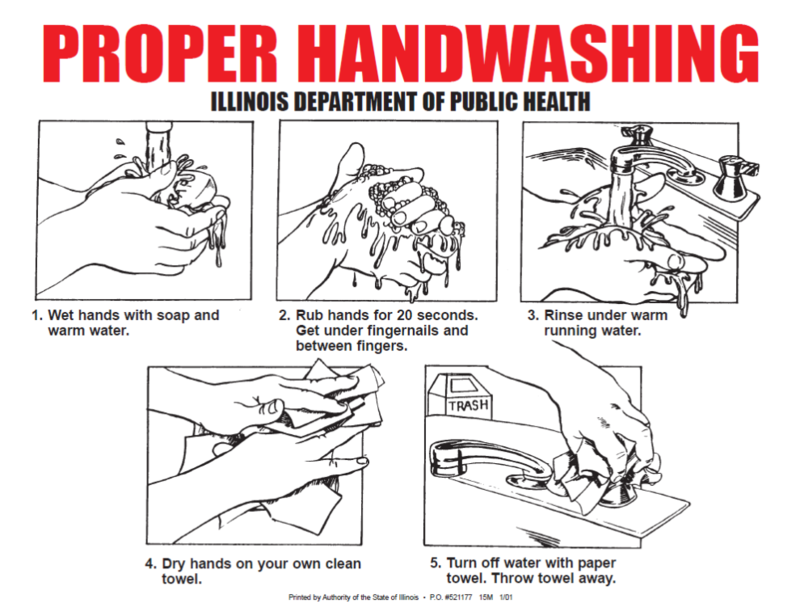 Clean hands stop germs from spreading from one person to another and throughout an entire community. What If There is No Soap? Washing hands with soap and water is the best way to reduce the number of microbes on them, but if they are unavailable, use an alcohol-based hand sanitizer that contains at least 60% alcohol. Hand sanitizers can quickly reduce the number of microbes on hands in some situations, but they do not eliminate all types of germs. Be sure to supervise children using hand sanitizers to ensure they are using it properly. Lather your hands by rubbing them together with the soap. Be sure to later the backs of your hands, between your fingers, and under your nails. Scrub your hands at least 20 seconds. Need a time? Hum the “Happy Birthday” song from beginning to end twice. Dry hands using a clean towel or air dry them.